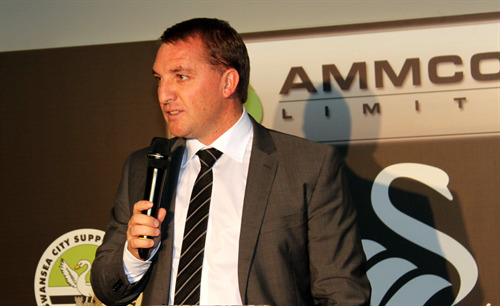 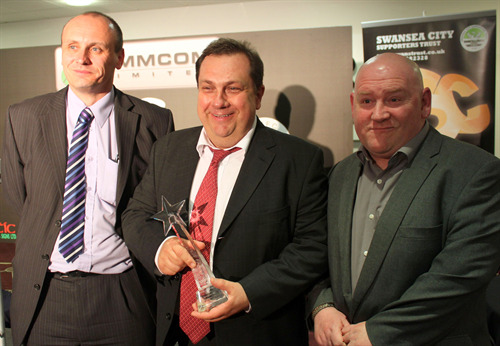 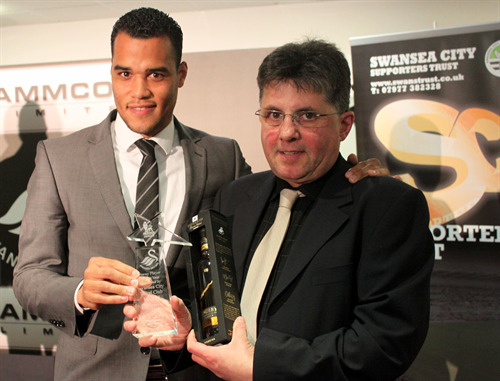 Some pictures from the 2012 End of Season Awards night arranged in conjunction with Swansea City by the Swansea City Supporters Trust and the Swansea City Executive Fundraising Committee. 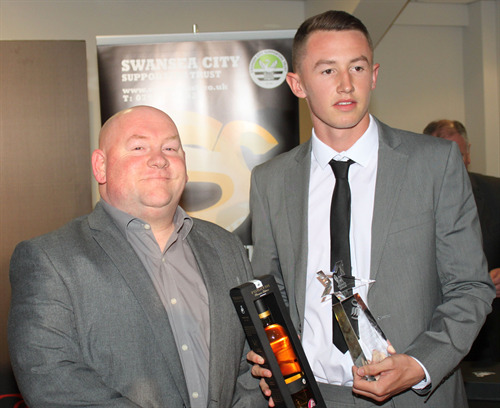 A number of Swansea youngsters were presented with their International Caps on the night. 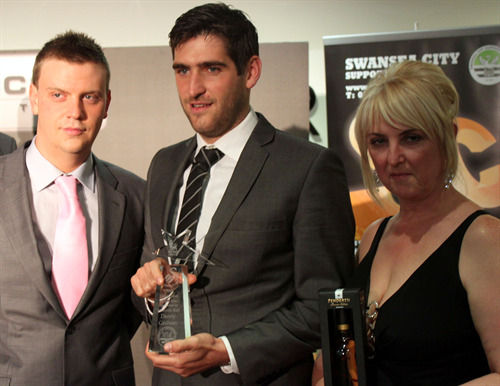 Here are some of them with Head of Youth Development Tony Pennock. 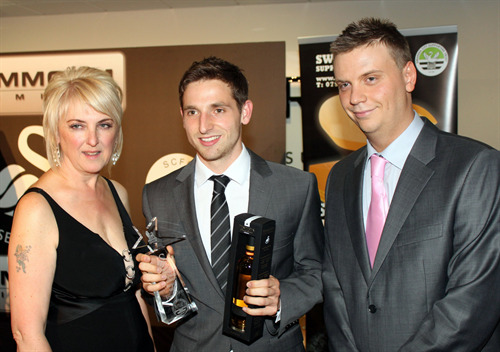 Youth Development Player of the Year, Scott Tancock, is presented with his trophy by Huw Cooze of Award Sponsor Visions Creative. 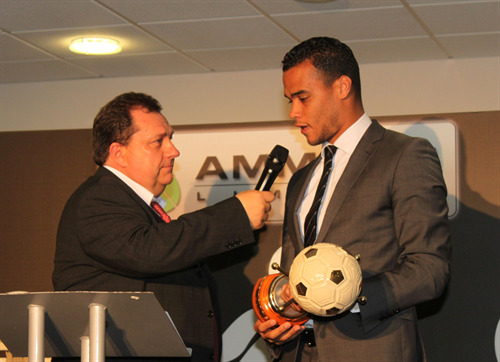 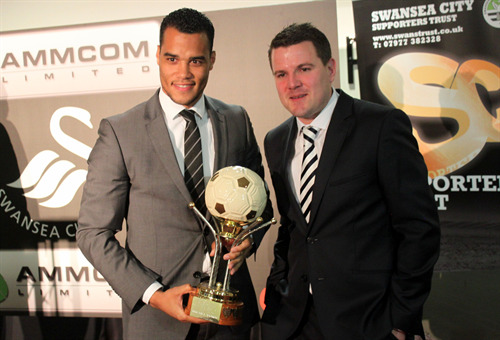 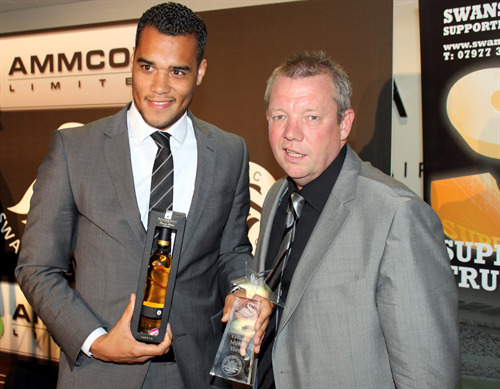 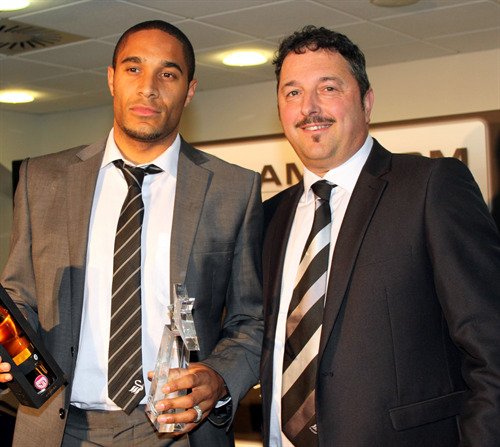 Club Ambassador of the Year Ashley Williams receives his award from Andrew Maunder of Trophy Sponsor AMMCOM.